→The Most COMPREHENSIVE Thrive Themes Review You’ve EVER Read! The Most COMPREHENSIVE Thrive Themes Review You’ve EVER Read! If you have been looking for a comprehensive Thrive Themes review from somebody who has used the tool himself, you have come to the right place! I hesitated writing this review but now that I have used Thrive tools for almost a year, I wanted to tell other people as well about their tools. I truly believe that they can help you to make more money and optimize your websites like they have helped me. Short Review: I have used Thrive Themes for around a year and I can warmly recommend them to anyone who wants to increase sales and conversions on their websites. Thrive Themes team is dedicated to provide you the best tools you need to optimize your online business. How Does Thrive Architecht Work? Thrive Optimize - Optimize Your Landing Pages to 10X Your Sales! How Does Thrive Optimize Work? Conclusion - Is Thrive Themes Worth It? Before you run into my comprehensive Thrive Themes review in text mode, I want to offer you an opportunity to have a look at my video review. I am sure that you will find this helpful and valuable! 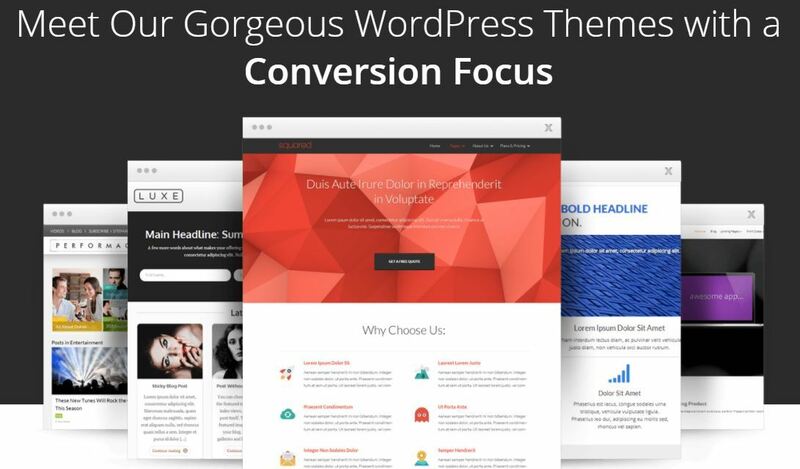 Thrive Themes has two kinds of tools, WordPress themes and plugins. I will first explain you about their WordPress themes and how they can help you based on my own experiences. Then I'll show you one by one how their plugins can skyrocket your sales and income. One of the greatest things about Thrive Themes is that their goal is to increase your sales. They have a full team developing better tools and providing more effective solutions for you. Isn't that quite cool? When you succeed, they succeed. Before we run into the details of Thrive Themes, I would like to present you the co-founder of Thrive Themes, Shane Melaugh. He is an extremely successful online marketer and he knows from own experiences what kind of challenges online businesses face. He has built several multi-million dollar online businesses over the years. In the picture below, you can see some of his achievements and how he got started with the Internet marketing around 10 years ago. The introduction is from his website ActiveGrowth. If you have a WordPress website, you need a WordPress theme. It's basically the template where you are building your site. There are free and paid themes and over the years I have tried numerous options. Free themes are fine for beginners who are just starting out and leaning things but if you want to make some serious money online, I highly recommend having a paid/premium WordPress theme. And my #1 recommendations is Thrive Themes. I'm also using it myself. Actually, at the moment you are on a website that is built by Thrive Themes. Learn 10 Benefits of Using Thrive Themes! 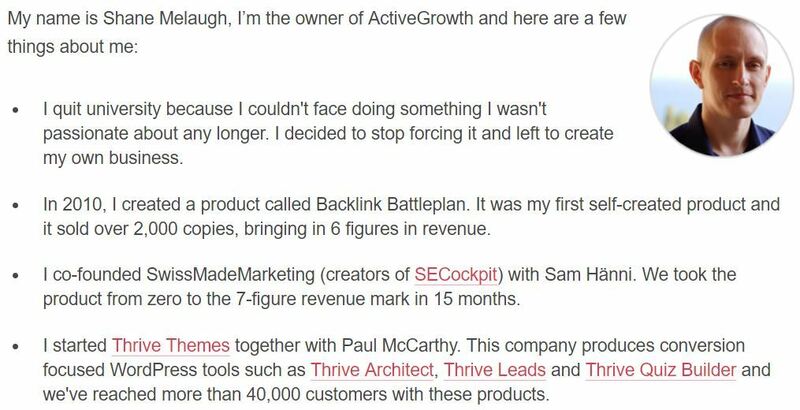 NOTE: You can read my full Thrive Architect review here. The first tools from the Thrive Themes that I ever heard of was called Thrive Architecht. It's a WordPress plugin that helps you to build conversion-optimized posts and pages more conveniently and easily. If you have used Worpdress, you know that the actual page/posts that you publish doesn't always look the same like it looks in the WordPress editor. After talking with tens of people who run their websites and online businesses with WordPress, I have seen that many people find it frustrating that it changes. With the Thrive Architecht you can edit your posts and pages in real time. Actually, I have created this post with the Thrive Architecht. I just drag & drop items to this post. I see the changes in the real time and I can optimize everything on this page. In addition, I can A/B test this page to see what kind of content works the best. 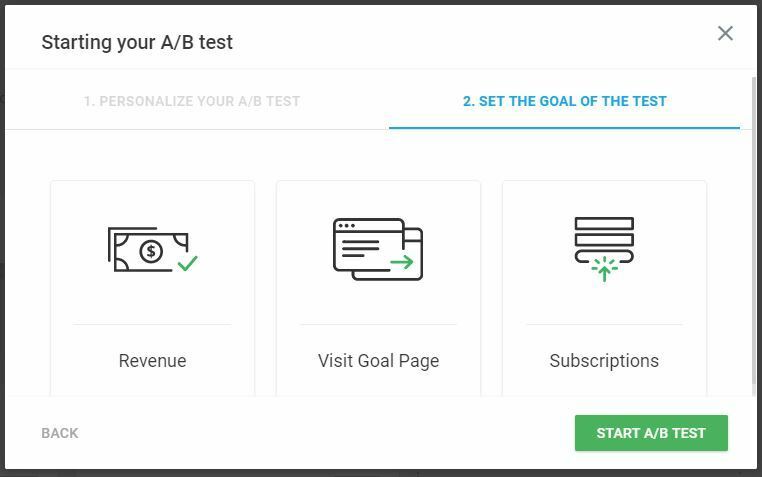 More on the A/B test optimization further on Thrive Optimize section. See the changes on your page in a real time. Add beautiful buttons, testimonials and other conversion-optimized items. Use default or your own templates to create pages even faster. Create beautiful comparisons of products on your sales pages (2-3 different pricing options often convert better than just 1). Build Better Landing Pages with Thrive Architect! If you want to optimize certain pages or posts on your site to maximize your conversions, Thrive Optimize is the right tool for you. It allows you to perform A/B tests on your landing pages and posts. A/B test means that, for example, 50% of your visitors see an original page and 50% of visitors see your modified page. Then you can test which one of the pages is converting better to your goal. Let's say for example that you have a landing page where you are selling your own or other person's product as an affiliate. With Thrive Optimize you test 2 different pages and notice that with the page A 1% of the visitors buy your products and with the page B 2% of the visitors buy your product. With Thrive Optimize you can also track leads. Put an opt-in form into the page and it shows you which page gets the most conversions. => Learn more about Thrive Optimize here! I heard from Thrive Optimize some time ago from another Wealthy Affiliate member. 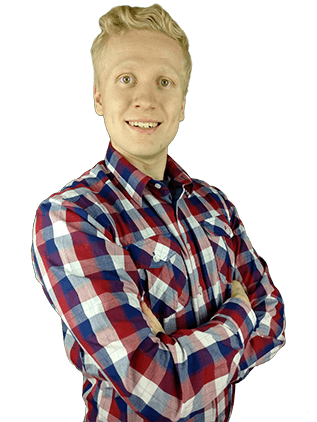 He had created a YouTube video and a blog post where he explained how effective this tool is for optimizing landing pages and increasing sales. Mind mind was blown when I saw how this tool works. You can set specific goals using Thrive Optimize. Let's say, for example, that you have a sales page where your goal is to sell a product to your visitors. You can start an A/B test easily and test different pages. Let's take an example how it can make you more money. Let's say that you have a landing page that gets 200 visitors per day. It makes 6,000 visitors per month on that individual page. You are selling there a product that costs $49. Your normal conversion rate from visitor into a buyer on that page is 1%. In the other words, you make 2 sales every day and 60 sales per month. That makes 60 sales/month x $49 each sale => $2,940/month. The rise from 1% doesn't feel like a lot but let's have a look what kind of effect it will have on your income. You will still have the same amount of visitors (6,000/month) on your landing page. However, now with the Thrive Optimize A/B testing you can get a page that makes a 2% conversion rate. That equals to 120 sales each month. Let's make the math. 120 sales/month x$49 each sale =>$5,880/month. That's a quick jump from $2,940/month to $5,880/month. just by implementing an A/B test and increasing your conversion rate from 1% to 2%. DOUBLE Your Conversions with Thrive Optimize! NOTE: In the video above, I show and explain why Thrive Leads is my #1 recommended lead generation tool. You can also check out my full Thrive Leads review here. Thrive Leads is a plugin that enables you to build beautiful and conversion-optimized opt-in forms to your website. It helps you to build your email list faster. 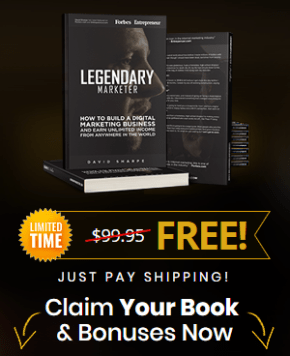 If you aren't yet familiar with the effectiviness of the email list building, I recommend taking a look at this post where I give an example how you could make an extra $60,000/year with email marketing. Thrive Leads tool is also included in the premium membership of Thrive Themes. It was one of the main reasons why I decided buying Thrive Themes memberhsip. There are similar tools that Thrive Leads that cost $19-39/month itself. With Thrive Themes you get Thrive Leads and +10 other tools included in the same price. It's a real no-brainer. It's a popup that shows up your page when you decide. You can set up the popup, for example, when a visitor has stayed on your site for 10 or 30 seconds, when a visitor has scrolled 50% down on your page or when he finishes another actions. This unique type of opt-in form comes from the top of your page and fills the whole page with the content. It pushes down the rest of the page to show your offer. Read all the details on Thrive Themes official website here. Save Money, Get Thrive Leads Today! I must admit that when I first of the Thrive Ultimatum for the first time, I really underestimated this tool. Now I can say that Thrive Ultimatum can really boost your sales and provide more value to your audience. Thrive Ultimatum is a plugin that enables you to build marketing campaigns with the scarcity using their timer. Have you ever seen a following kind of timer in a website where you have landed? Thrive Ultimatum enables you to add beautiful countdown timers to your landing pages. Using timers and limited offers is pretty common in marketing simply because it's so powerful and it works. Human beings get more intrigued to buying when they feel that the offer is going away soon. That's just how we're wired. When I implemented Thrive Ultimatum with Thrive Optimize, I saw immediately a small peak in my sales. I was even a bit surprised. I had heard that it works but it's always different to see it in practice than just in theory. You can use Thrive Ultimatum and the timer in many ways. One option is to build excitement with your audience before a big promotion campaign. You set up a timer on your site, let's say, 7 days before it starts so everybody knows what will be coming in the near future. Another option is of course providing limited campaigns. Let's say that normally your product costs $99 but during the Christmas or Midsummer sales you will give a it for a discounted price $79 to increase sales. You set up that the campaign lasts for a week and after that discounted price will never be there again. Many people will naturally want to buy the product because they get it now for a cheaper price than normally. I have seen that with my own eyes many times. For example, Wealthy Affiliate (the online business training and community) has a promotion every year during the Black Friday. Normally, their yearly premium membership costs $359/year and the monthly membership is $49/month. During the Black Friday sale they give the membership for as low as $299/year. It's the cheapest price that they have ever provided during their 13 years of operation. Every year the offer is available only for 3-4 days during the Black Friday. The owner of Wealthy Affiliate, Kyle Loudon, says that each year they make the biggest sales during the Black Friday. They make more income in a weekend than in any other weekend of the year. The reason is that scarcity marketing works. People want to buy limited offers. Get a Peak in Your Sales With Thrive Ultimatum! Have you ever taken a look at Google Analytics and seen how long visitors spend time on your website? The reality is that most of your website visitors leave within 10 seconds. It doesn't help whether you would be a Terminator, Tony Robbins or the best marketer in the world. The facts have showed over and over again that most visitors leave websites fast. However, there are tools to increase the time your visitors spend on your website. The longer time on your site means => more engagement => More trust => More purchases. Thrive Quiz Builder is one of the most interesting and effective tools for increasing engagement, building relationships with your audience and eventually boosting your sales. More people to your email list => You can say, for example, "Insert your email to receive the results"
Build Trust and Make Sales With Thrive Quiz Builder! Based on the researches, you have 2,6 seconds time to catch the attention of a visitor of your website. If you don't make a good first impression, the visitors will leave and most likely never come back again. Probably the most important single factor for making a good first impression is a great headline. With Thrive Themes Headline Optimizer you can great magnificent headlines that catch your visitor's attention and make them stay on your site. One of the greatest part of it is that you can do A/B tests on different headlines and get real results. Catch Your Visitors' Attention in 2,6 Seconds! When I heard of Thrive Clever Widgets for the first time, it literally blew my mind. It helps you to optimize your sidebar and footer and make them relevant for each visitor. Sidebar is often an underestimated resource on websites but by optimizing it properly, you can make big changes in your income. Little improvements can make big differences in the long run. Thrive Themes Clever Widgets optimizes your sidebar (or other widget area) personally for each visitor! One of the main aspects of making business more effectively is relevance. You can't sell dog clothes for somebody who is interested in protein supplements. Clever Widgets will see take into account kind of content the visitors is reading on your website and showing him the right content based on that information. Transform Your Website from Dumb to Clever in a Few Clicks! I am not technically savvvy person. I just like to use simple tools like Thrive Themes to get things done and technical things usually just get me gray hair. I prefer giving programming and all the irritating little technical details for other people. I know that many of you are the same like me. You may not like technical details. Therefore, Thrive Themes is a great thing for you especially if you follow my following tips. These tips will save you tons of time and make you more money in the long run. I highly recommend watching Thrive Themes tutorials. At the beginning, I made a mistake that I didn't watch them and know I have realized that it cost me lots of time and money. I thought like this, "I just want to get started as fast as possible. I don't want to waste my time watching tutorials because I already know how to make money online." Oh, how wrong I was! 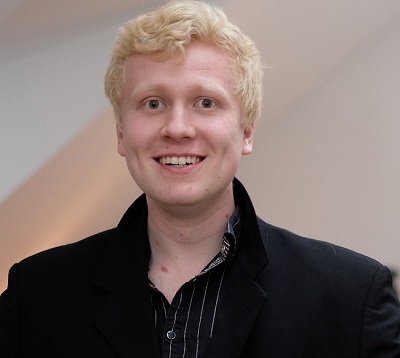 Shane Melaugh is a multi-milllionaire who has years of experience in the Internet marketer. He has created these tools to achieve the same (or even better) results that he got. In the videos, he walks you through how each of these tools will help you to make more money online and optimize your website. You will not only learn to use Thrive Themes better but you will learn vital Internet marketing tips and strategies. Normally, I see people charging for that kinds of training like $59/month. Now you can get it for free with Thrive Themes so I certainly recommend taking an advantage of that opportunity. Because I didn't watch the tutorials at the beginning, I had lots of questions. I asked some of my questions in the support but sometimes they needed further information or clarification to provide a full answer. I thought that it's a waste of time to ask many questions from the support. I was wrong again. 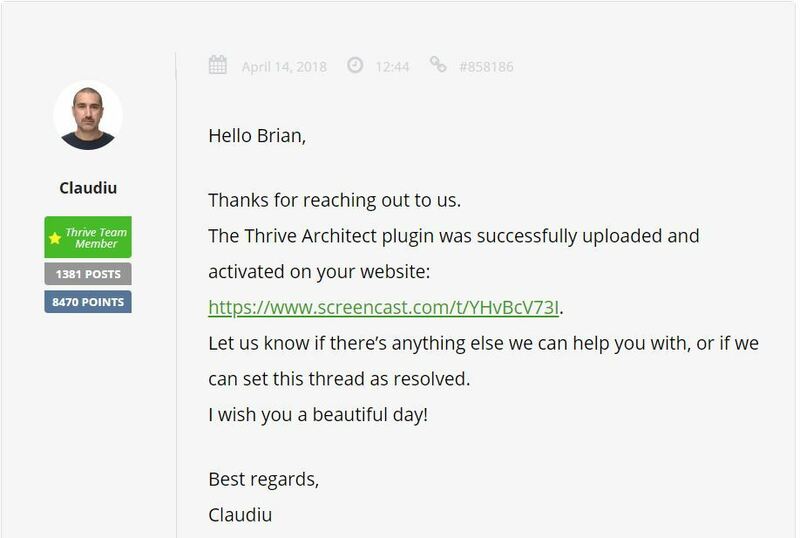 After using Thrive Themes for almost a year, I have realized that if you want to get some issue resolved to optimize your website, it's better to contact their support as many times as you need. Whether it's 1, 3, 5 or even 10 messages, it's usually worth it in the end. Remember the example above? Even a 1% raise in the conversion rate may double your income on that page meaning an extra $2,940/month (depending on the products that you are selling, of course). With the Thrive membership, you have an unlimited support. It means that you can ask as many questions as you need and they will always answer you. I have experienced it myself. I have asked tens of questions and I have always received a response. Thrive Themes support team answers all your questions and resolves all the issues you may have with your site. Above you can see one example. I heard from Thrive Themes for the first time from one Wealthy Affiliate member. Then I saw that another person was using it as well. Then another and another and another. I realized that tons of Internet marketers are using Thrive Themes and getting awesome results with it. Why wouldn't I be using it as well? And it was a great decision. Networking with other online entrepreneurs has been probably one of the most profitable and wisest things during my whole "online business career". Ideas from other people have always got me to the next level. Without other people's help you may always stay wherever you are at the moment. My favorite online business community, actually the community that changed my life, is called Wealthy Affiliate. They have also a step-by-step training and tons of wonderful tools that help you to grow your online business. I have been a happy member of Wealthy Affiliate now for almost 3 years and I can say that it has been one of the most transforming experiences in my life. I wouldn't probably be writing you this article if I wouldn't have ever joined WA. On Wealthy Affiliate, I provide also 1-on-1 help and support for anyone who joins through my website. In the other words, you can ask me anything you need and I promise to answer you. You can also ask me anything regarding Thrive Themes or just something regarding to making money online in general. You can get started on Wealthy Affiliate for completely free. I naturally recommend their premium membership because it provides so much more value than it takes. Connect with Other Successful Online Entrepreneurs on WA! There are basically two options to get started with Thrive Themes. 1.You can buy some of their products individually. 2.Buy Thrive membership to get access to all of their premium tools. The first option costs $67 per product and the second option costs $19/month but it includes all their tools that that I mentioned above. Here's again a list of all tools that are included in the membership. I would also like to mention that Thrive Themes has a complete 100% satisfaction guarantee. It means that if, for any reason, you don't like the membership, you will get all your money back. You have a full 30-day money back guarantee. They will give you a full refund, no questions asked. Of course, the support team can also help you to achieve the results that you want because you have an unlimited support within the membership. More than 65,000 successful online marketers have been using. Therefore, I could make this Thrive Themes testimonials part pretty long. I just prefer to show you a few testimonials because I think you will experience the biggest benefit of Thrive Themes just by using it yourself. I guess the answer to this question has become clear while you have been reading this article. I certainly think that Thrive Themes is worth it for anyone who wants to boost the income of their website/online business. If you have an online business and you want to optimize it, I highly recommend getting Thrive Tools. Having a variety of tools to increase your sales and the whole Thrive Themes working on them, is an awesome deal. I am honestly surprised that they don't charge more than $19/month for their tools. Their tools are easily worth more than that. They can generate hundreds or thousands of dollars every single month so $19 is just chicken fees. ​Optimize Your Online Business with Thrive Themes Today! If you have any questions about Thrive Themes and their tools, don't hesitate to leave me a comment below and I will be more than happy to help you out. Have you used Thrive Themes? What kind of experiences did you have? Let us know below! Try Thrive Themes Today Yourself! Thrive Ultimatum Review: #1 Tool for Increasing Conversions?